How Do Italians View Their Government? Before you begin working your way to foreign language fluency, it helps to understand the culture behind the language you’re learning. After all, language exists to help a group of people express their ideas and beliefs. Italy is an old country with a rich history and culture. As you begin your Italian language program, gaining a strong grasp on this history, the values, and the etiquette will help you rapidly achieve success. In particular, Italians tend to be very dismissive of their own government and the rules it creates to govern their lives. In these times, the average Italian is often preoccupied with discovering a method to beat the essential processes deemed necessary by the system. The only successful method to be employed when attempting to do this is one of noncompliance until the final moment. Employing “furbo” or cunning methods in an effort to circumvent the various laws and edicts are a necessity during this process. Because of this, in many cases feelings of anger and frustration begin to arise in foreigners and those who choose to play by the rules implemented by the bureaucracy. While there have been some changes regarding the government, these barriers continue to be very prevalent in everyday life for Italians. For Italians being “ingenuo” – antonym of “furbo” – does not reflect the sentiment of ingenuity, but in all actuality means to be gullible. With corruption rampant at all levels of the Italian government, the Church, as well as the legal system, individual wrongdoings are often excused by those protected by influence. The average Italian’s attitude toward the laws employed by the government, such as obeying pedestrian crossings, traffic lights and abiding by seatbelt regulations, is generally very dismissive and unconcerned. When seatbelt laws were first implemented, Naples began a very lucrative trade by printing t-shirts with a seatbelt depicted on them. While many of the current laws are approached with a cavalier attitude, rules regarding dining and appropriate dress are often strictly observed. 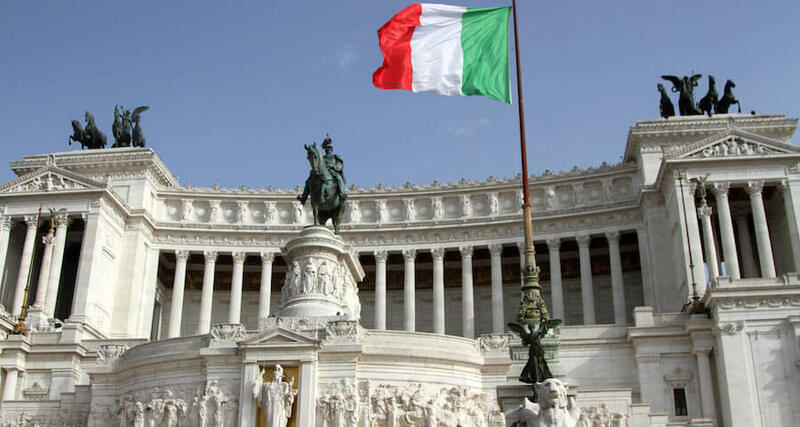 Due to the frustrations associated with the Italian bureaucratic system, the average citizen often feels sentiments of distrust toward the state. According to Tobias Jones, despite the fact Italy is often referred to as a religious country, it is more accurately characterized through its clerical aspects. In the lives of Italians, the bureaucracy plays a major role. According to recent studies, the average Italian spends an exorbitant amount of time form-filling; approximately two weeks to be exact. The processes associated with the Italian bureaucracy are time-consuming and costly, leading some to coin it the “lentocrazia,” or “slowocracy.” This disdain is a result of the history of Italy and the politicization of the Italian civil service. According to the current political protocol in Italy, jobs can sometimes be used as incentives that are parceled out in return for political services. Often referred to as “cushy number,” civil service posts are often held for life. While practices have been considerably altered in recent times, where jobs are deemed to be awarded based on the merits of the individual, attaining a review by the selection board may very well require a sturdy recommendation from a reputable person. The “bollo” is a fact of life and the price of doing business in Italy. It is required for any activity that needs approval from a government agency. In short, it is an official stamp. More precisely, it evidences that the correct fee has been paid to the correct agency, and there are many. To navigate Italy’s notorious bureaucracy, official requests of any kind start with picking up the special paper used to write the request. These are sold at “tabaccherie,” which are the local tobacco shops that also sell bus tickets, lottery tickets, and postage stamps, among other things. Some “tacaccherie” also accept bill payments. They are much more than just local convenience stores. This paper used to make official requests is called the “carta bollata” or “carta uso bollo.” Once the request has been written up, the “bolli,” or stamps, can be purchased at the “tabaccheria.” Purchase the “bolli” and take them, along with the request, to the appropriate agency office, where the stamps will be adhered by the officials there. With so many agencies, complex regulations, and bureaucracy, the possible ways to waste time seem endless. To help people avoid standing in all these lines and trying to navigate it all on their own, there are many agencies that can be hired to get the correct documents and stamps. Many people in Italy find these to be well worth the price. These local agents can be hired to assist with the registration processes required for foreigners staying in Italy for longer periods of time. Police and foreign department registration requirements must be observed by travelers in Italy. Italy is somewhat known for its bureaucracy. International travelers will find this affects them in a variety of ways. For those traveling from nations outside the European union, registration is required. Most international visitors will not realize this, as hotels take care of it automatically. However, for those making their own arrangements or staying with locals, it will be necessary to adhere to these requirements. They must register with the local police by going to the “Questura,” “Commissariato di Polizia,” or “Stazione dei Carabinieri.” Having a local who is fluent with the language and familiar with these customs to accompany you is a good idea. Of course, those traveling from most European Union nations will not be subject to these requirements, although it is still advisable to check the rules for any individual nation before leaving home. It is always a good idea to be sure to have acceptable proof of identification, acceptable in the host nation, no matter where one is traveling from. What Is It Like to Do Business in France?